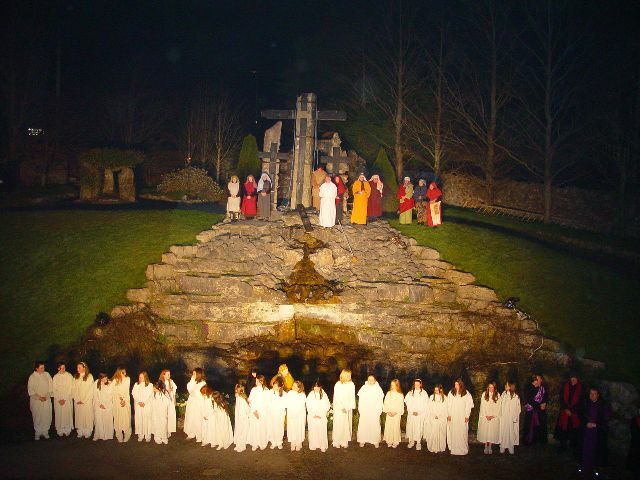 The Passion Play or “The Triumph of Easter” as it is called, is ‘staged’ each Holy Week on the grounds of Ballintubber Abbey. The ‘stage’ is the natural setting of the grounds and when they were being landscaped, had this in view . It takes place outdoors. The people of Ballintubber, men, women and children, ninety two in all, have portrayed this powerful drama since 1982. 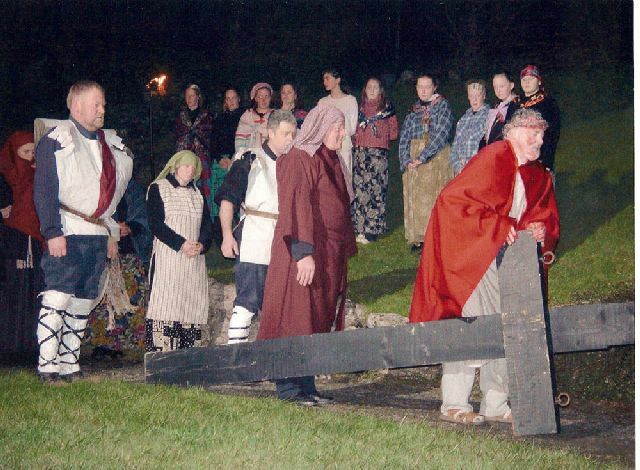 It takes place on the Monday, Tuesday, & Wednesday of Holy Week, commencing at 9.00p.m. The production , the lights, the sound are of the highest quality and a stand, with seating accommodation , has now been erected to shelter the audience from possible bad weather. It attracts a large audience each year – from all over Ireland. The number of people who come repeatedly each year, show the powerful impact it has on their lives.